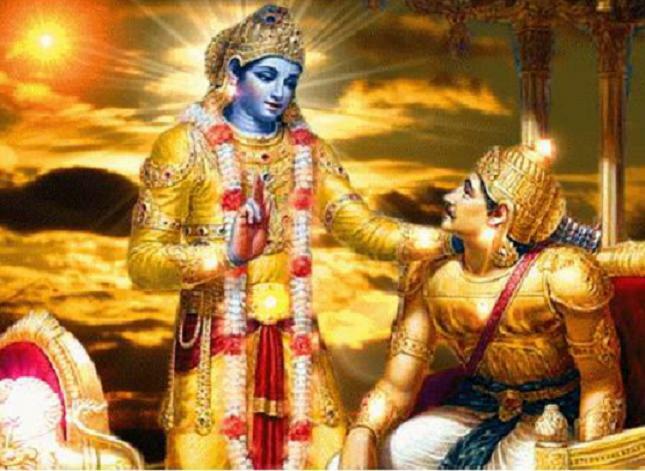 The core message of The Bhagavad Gita is that everyone should perform his/her duty to the best of ability. The singular dictum can regulate the life of the human being if the meaning of duty is properly understood. The first duty of the individual is to his own self. He/she must ensure and take all possible steps to maintain good mental and physical health. It is not being selfish or self-centred. It’s developing ability to work in the service of the Lord Almighty. One has to contribute to the progress and growth of humanity as these efforts as to be construed as the true worship. The next duty of the individuals is to work and establish their loyalty to the employer if you are working for someone. But if you are an entrepreneur, it’s your duty to do your best for the wellbeing and progress of your enterprise and the people who man your establishment. It’s your duty to look after your family, your parents, spouse and children. All your work need to conform to the needs of the nation, state and community to which you belong. 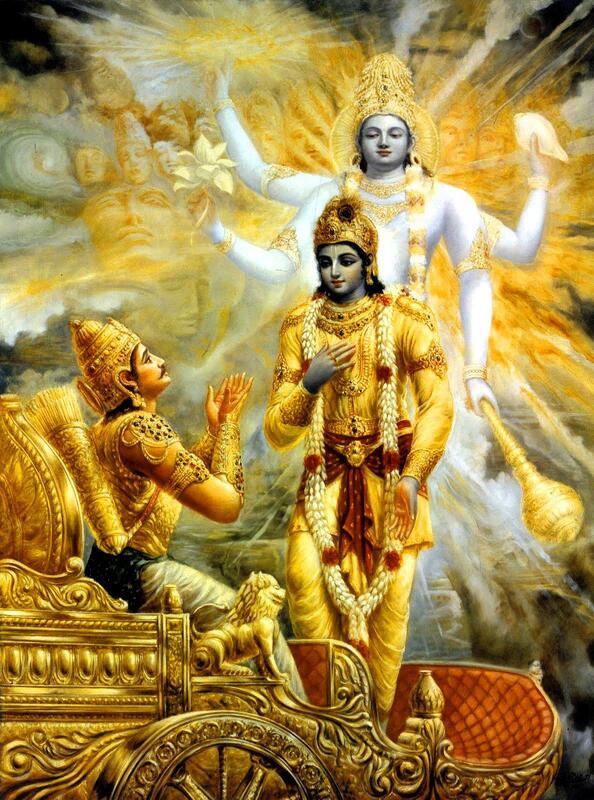 “My birth and my deeds are divine, pure and transcendental. 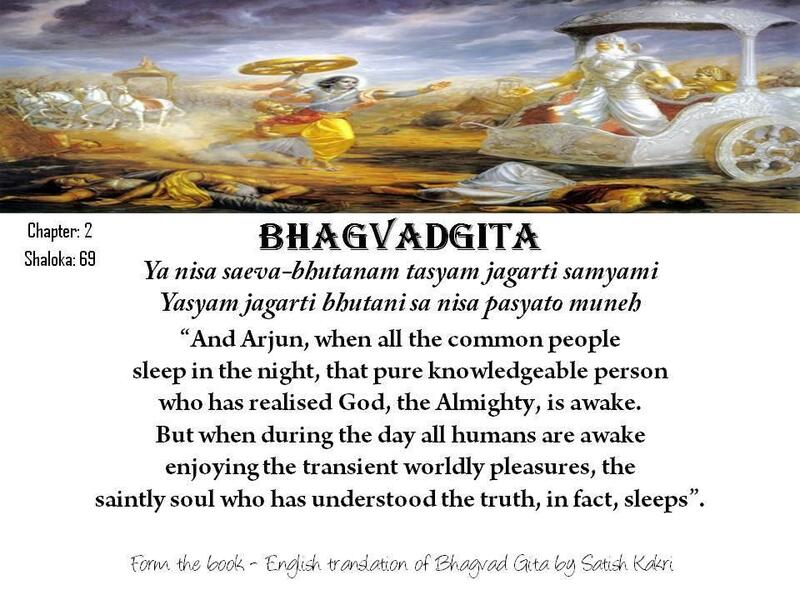 The person who understands and realises this truth does not take birth after death. Instead, he assumes My form and becomes a part of Me.” History testifies that the pendulum oscillates between the good and the evil. But there is no specific rhythm. Be a witness to whatever is happening around. Expect the unexpected and remain calm and composed. It’s possible when we perform our duty stretching ourselves and covering an extra mile for the growth and progress of humanity. Again and again the Lord has repeated that He is present in everyone. So, what is the definition of worship? What does He mean when He says….”even if a dire sinner worships Almighty?” In fact, it is the realisation that working in the interest of humanity is the most significant devotion, one can offer. So, any endeavour dedicated to the service of humanity is nothing short of worship to the Lord Almighty. Surely, this message would give a direction to everyone about where to go and how to live? 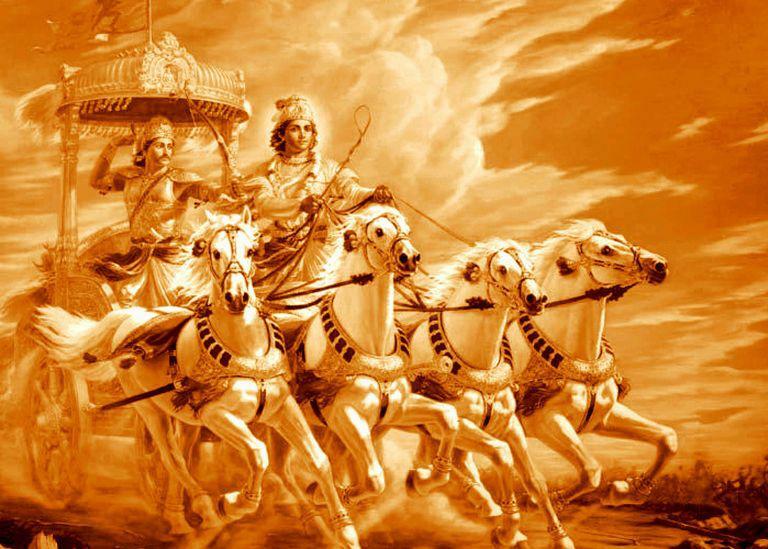 In the highly competitive, fast paced and disruptive world today, one needs ‘sthirbudhi’ more than ever before to be at peace and maintain work life balance in life. Please comment, add and share with friends. When we understand and contemplate on these words of Lord Almighty, we find the futility of attachment with the result of our efforts. It does not mean that our efforts are affected by the lack of interest. It only means that we put our mind and soul in performance of our duty, without our anxiety about the results. We achieve the best what is possible. That is progress. That is growth. And, that is the real prosperity. It’s only when we realise the presence of Lord Almighty in all things and everywhere that we maintain the right path. We are not lost in bewilderment which abounds in this illusionary world. We realise our significance of life and we contribute to the progress and growth of human society. Clarity in writing is one of the most difficult skills to master. Word choice comes more easily for some businesspeople than for others. Venture capitalists sometimes receive business plans that are so unclear it is difficult for them to tell what business the company is in. Presumably, expressing it clearly on paper proved too difficult for them. The power and force behind all progress is the embodiment of the Lord Almighty. Therefore, excellence in any worldly activity is not possible without His grace. This knowledge inspires us to pursue perfection in performance of our duty, as the force behind the pursuit is also created by Him. All achievements, material or spiritual, realised in an effort for the upliftment of the society and growth of human values constitute our service and devotion to the Lord Almighty. Thus, there is no time to loose. That is the importance and result of pursuit of knowledge and imbibing wisdom in your being. If we look back, each one of us may have been involved in such actions as our conscience would not have allowed, but emotions were too strong to be stopped by the conscience. So, what is the remedy? The strong desire for the pursuit of knowledge and perseverance to acquire it. Propagating knowledge is the best service to humanity, the Lord Almighty. 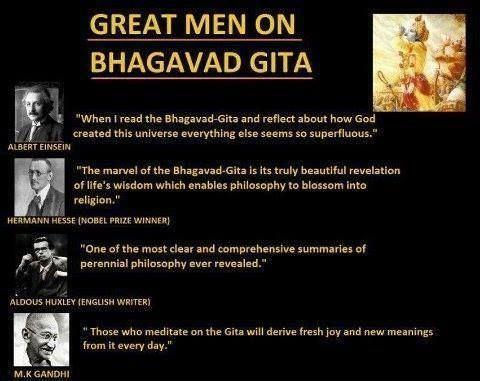 There are innumerable benefits of reading The Bhagavad Gita daily. The most significant of these is that it inspires us to love our jobs. We get committed to performance of our duty. 3. Listening Skills. 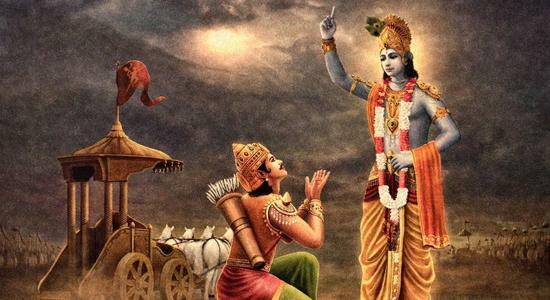 The entire dialogue between the Lord Almighty and Arjuna makes us understand the importance of listening skills. Most people,today, listen to reply. In the process the moment we find that we strongly differ from what the speaker has said, we stop listening and further. We wait for him/her to stop so that we can express ourselves and prove how wrong they are and how right is the opinion we hold. 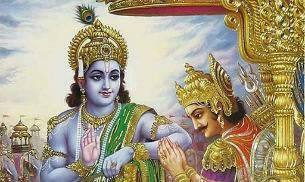 We find from the great book of knowledge that Arjuna is ignorant of many things which are explained to him. But he carefully listens and then asks such questions which are most relevant for properly understanding what has been said. Many management Gurus rightly say that importance of listening cannot be exaggerated. 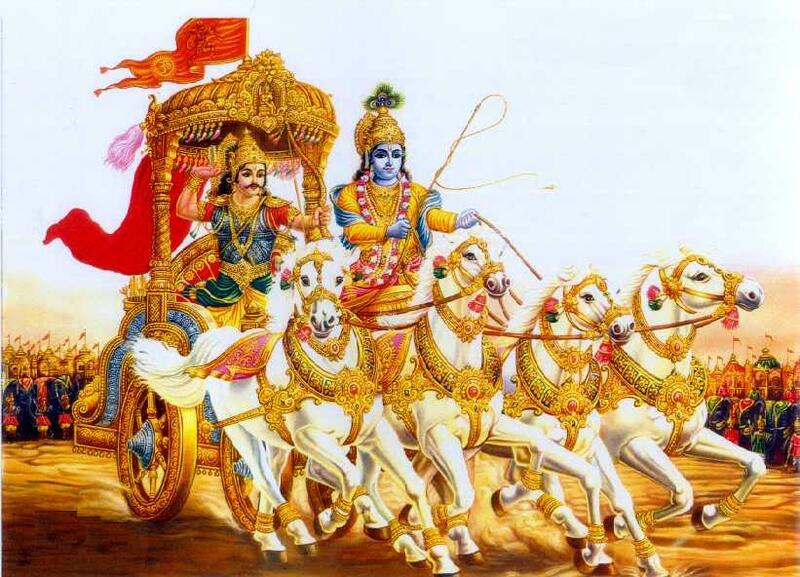 There are many benefits that we can draw from reading The Bhagavad Gita daily. On one side it grants us knowledge, so very important to live life significantly, on the other, we become capable to face ups and downs of life. To my mind, the following benefits are very significant for human personality. The reading develops courage. 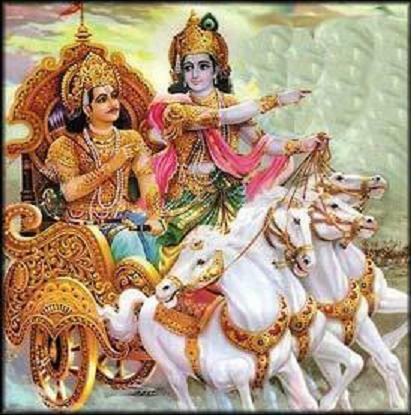 In the first chapter, we find that Arjuna is tormented with grief and feels so weak that he cannot even hold his bow and arrow. In life, whenever one faces such highly emotional situations, unless you are in control, you tend to become weak. 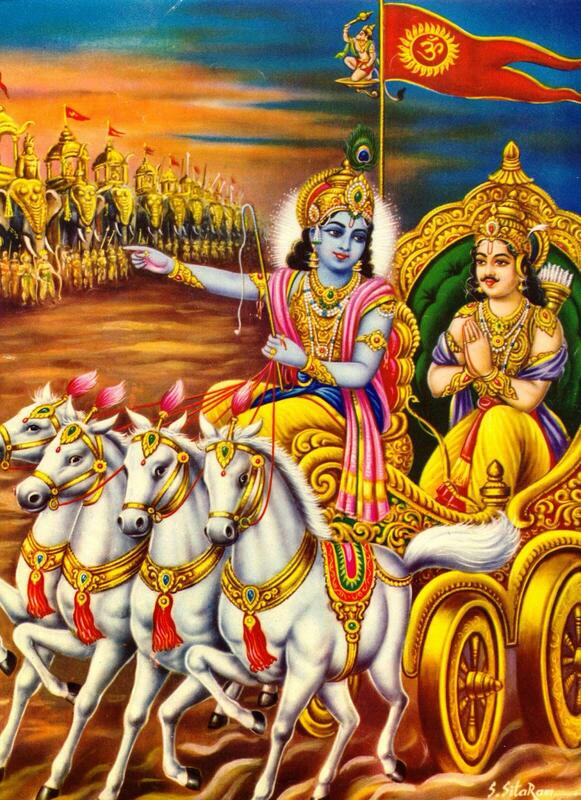 But Lord Krishna helps Arjuna to control his emotions and not loose his valour for which he is known. Since the Lord Almighty is always with us, we must never loose our courage and deal with the difficulties upfront. 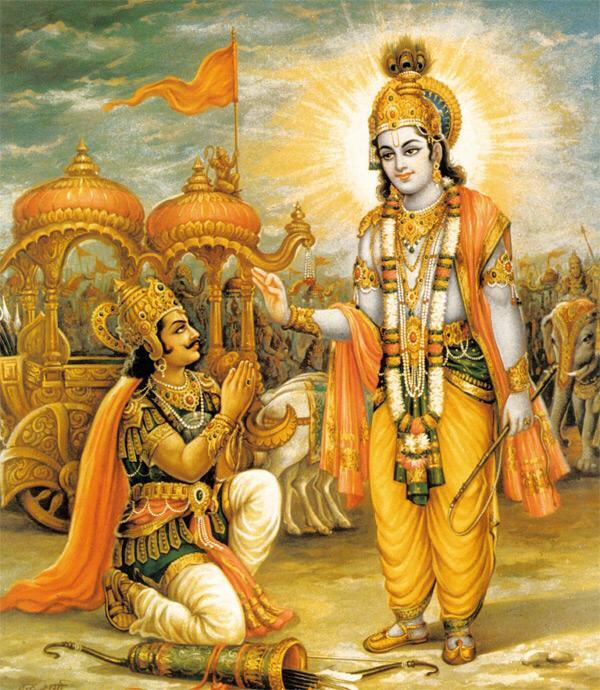 Lord Krishna said, “The person who remembers Me even at the time of his life and leaves the body while remembering Me, in fact, attains Me undoubtedly”. “At the end of the human life, whichever aspect is remembered by the dying man, he assumes the same form in the next birth. The simple reason for this is that he remained with that particular aspect throughout his life”. 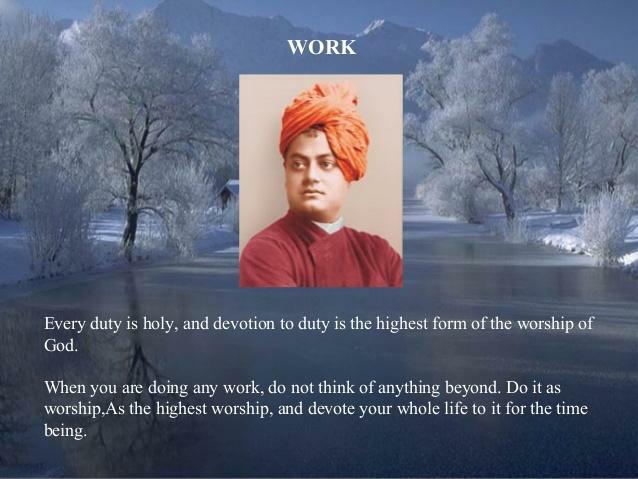 Performance of one’s duty without selfish motive constitutes the work which is dedicated to the Lord Almighty. Because there is no selfish motive; such actions contribute to the development of society. It’s for the benefit and progress of humanity. Any ethical enterprise which meets the human needs and helps the human development or the society at large is recommended. Greed and lust for power should not be allowed to replace the genuine effort for growth. These are not even good even for the entrepreneur as greed has no limits and lust for power is never satisfied. Both lead to disastrous results. One of the big problems today faced by metro cities like Delhi, Mumbai should be dealt with forthright. Else, it will be too late. 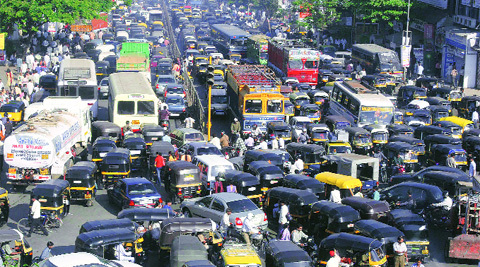 Traffic and its wild growth constitutes one of the biggest problems for these cities primarily, though it is present in other major cities of the country as well. It’s is a big pain in peoples’ life today, especially for working population. People are always in a fear of getting stuck in traffic and not reaching the required place on time. Even in an emergency one is unable to reach at the right place just because of the traffic. Today, I am going to discuss the causes of traffic in Mumbai and possible solutions to this problem. Few People with good financial status are least bothered about the traffic rules or signals; they break rules and have no fear to face the traffic police as they have other solution to come out of it is not so nice but it works, bribe. Breaking traffic rules is not only the cause but the lack of driving sense among people is one more concern, especially rickshaw drivers. People with two wheeler are always in a hurry to reach location their location as if they are the only ones who are most time conscious. Unstructured roads, where even big vehicles are also allowed, create a mess on the road. Even when the traffic can be manageable; it gets worse because of our not so efficient police. They are rarely available whenever needed most. Traffic leads to one more problem which is really dangerous to our health is the Pollution. The fumes and the dangerous gasses are playing havoc with the heath of people, especially children and frail adults. However, there are a few causes which can be under our control. 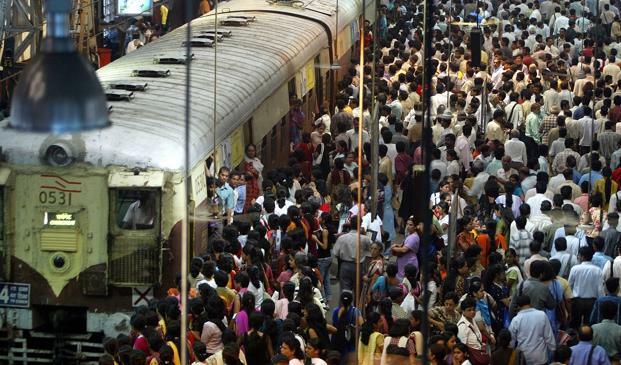 Today in Mumbai, more than 76 Lakhs people travel by local trains every day. We can hardly imagine the condition of Mumbai and traffic if local trains would have not been the lifeline of Mumbai. As Mumbai is having a good advantage of local trains, they are somehow pulling on. But everyday there are a number of deaths due to one reason or the other. Now, people have one more option, of using cabs or pool cabs rather than taking out their own vehicles. 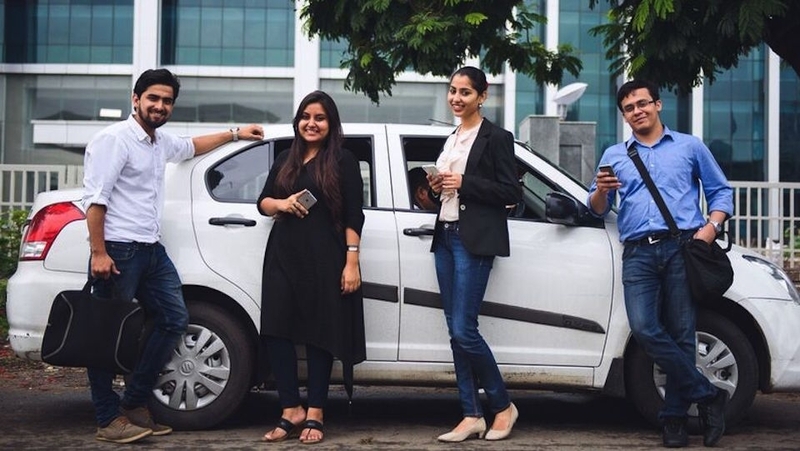 Today, OLA or Uber and many other cab services are easily available, just a click away on your phone. And in Ola or Uber they have started Pool cabs also, which is one step ahead in reducing pollution and traffic. For example, If four people take their own cars on the road for office, it will cause far more traffic than four people traveling in a pool cab. Surely, it would help mitigating the problems of pollution and traffic. Other solution can be same as what Delhi has started following. Odd and even concept which definitely helps to control traffic and pollution. Many organizations in Mumbai can also contribute in controlling the traffic by changing their office timing by department wise. So, when all people will not have to leave their home at the same time, less number of people will come out on the road at a particular time. This will definitely help to control traffic. But whatever solutions have been discussed above can only help when we are organized and disciplined. So until and unless we start following rules with proper driving sense, nothing is going to help to resolve this dire issue. For corruption also we are the ones who are encouraging these practices. So if we stop giving bribe to traffic police, then they are bound to be more efficient in their role. So, we have to first help ourselves and then we can help Mumbai to handle traffic issue.